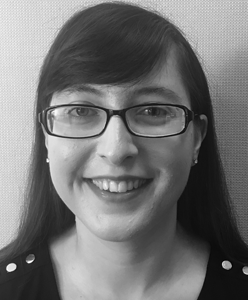 Jacquelyn Dambrosio is a resident researcher at the Kettering Foundation from Mount Vernon, Ohio. Her senior thesis explored the importance of fortune as a means to the end of happiness by comparing and contrasting Book One of Aristotle’s Nicomachean Ethics and chapter twenty-five of Niccolò Machiavelli’s The Prince. As an intern with the Ashland County Historical Society and in her research, Dambrosio has explored her interest in history, political science, and political philosophy. She also served as an advisory board member for the Ashland University Center for Civic Life, organizing and facilitating deliberative public forums to foster dialogue and decision-making among citizens on a range of contentious issues. Dambrosio is a recent graduate of Ashland University and the Ashbrook Scholar Program, where she pursued a double major in history and political science, with a minor in Spanish. In the future, she plans to continue her education in the field of political philosophy.